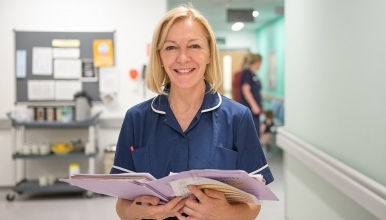 We have an exciting opportunity for an enthusiastic and inspirational midwife to join our Senior Midwifery Team as a Maternity Matron for the Midwifery Led Unit and Community Midwifery Services. Based in Telford with services across Shropshire, The Shrewsbury and Telford Hospital Maternity Service is committed to providing a high quality, safe and responsive service to the women we care for. Supporting choice and promoting a philosophy of care that encourages a positive pregnancy and birth experience for women and their families is important to us and we are looking for a like-minded individual to help us further develop our services. Our maternity services provide high quality care for approx. 4800 women and families each year. The successful candidate will play an integral role in implementing initiatives to sustain continued improvement in the quality and safety of care and experience for women and their families. This is an exciting yet challenging time for the Maternity services in Shropshire, as we embrace a period of improvement and development. We will continue to work in partnership with our women, the Local Maternity System (LMS) and our CCG’s to develop our future model of care. If you are dynamic, passionate about high quality care, thrive on hard work, embrace change and enjoy developing others through strong clinical presence and professional leadership then you might be just the person we are looking for. You will demonstrate your achievements in leading and developing innovative midwifery practice and are ready for a challenge in a supportive and progressive environment we would welcome your application. In return for your commitment we can offer you a supportive work environment, opportunities for wider personal development plus access to education and training programmes to support you in both your leadership and clinical aspects of the role and to enhance your professional portfolio.